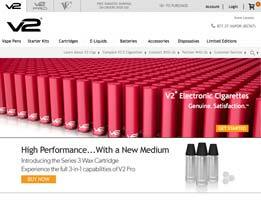 Electronic cigarettes have had an overwhelming affect on how people have decided to smoke. 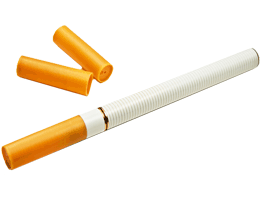 Since these types of cigarettes do not contain any tobacco components, they have been labeled as the healthier alternative to smoke and have piqued much interest among smokers, scientists and even non-smokers alike. 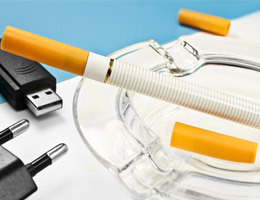 An electronic cigarette functions by using an atomizer to vaporize nicotine-enriched liquid, which causes the user to inhale the nicotine directly along with a portion of water molecules. 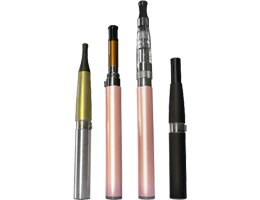 This method of smoking has been deemed revolutionary and as a result has spurred numerous research and product studies. The results of many of these studies conclude that there are more benefits to smoking e-cigarettes compared to conventional cigarettes. Let’s take a dive into some of these studies. E-cigarettes are generally favored because when smoking them the smoker does not directly ingest the poisonous chemical additives such as arsenic and tar, which both can be found in ordinary cigarettes. 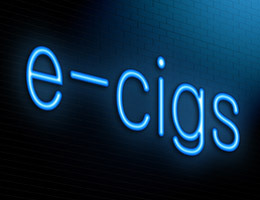 However, since e-cigarettes are new to the marketplace it is still uncertain whether smoking them will cause long term damage since they have not been around long enough for one to smoke over a long duration. In a laboratory-based study, it was concluded that carcinogen levels were significantly lower in people who switched to electronic cigarettes. Additionally, the desire to smoke cigarettes was decreased significantly. Lung damage was not inherent and the immune system’s response to harmful toxins was not present, meaning that there was not as strong of a threat to the body. Another study conducted found different results, but also included different test subjects. In a 2012 University of Athens research study, the subjects included smokers, non-smokers as well as individuals with COPD (chronic obstructive pulmonary disease) and asthma. During this particular study, subjects inhaled the vapors from an e-cigarette for ten minutes during which time their breathing was being monitored. The conclusion of this study showed that smoking e-cigarettes was clearly a better option compared to tobacco-based cigs. In yet another study that was conducted by CASFA (Consumer Advocate for Smoke-Free Alternatives) it was concluded that e-cigarettes contained 99% less toxins than tobacco cigarettes and that by switching from tobacco cigarettes to e-cigarettes would be equal to giving up smoking entirely. While e-cigarettes are still very new to the marketplace, the majority of studies conducted to date show that they are the better option when it comes to deciding on which cigarette to smoke. The studies conducted to date are only able to measure the health of subjects in the present and therefore researchers are really only able to speculate how e-cigarettes will affect smokers long-term. In short, the recommendation for anyone looking to smoke is that e cigarettes are the way to go.